Benetti unveiled three new fast displacement designs for its NOW line of custom superyachts over 50m at the Miami Yacht and Brokerage Show last week. 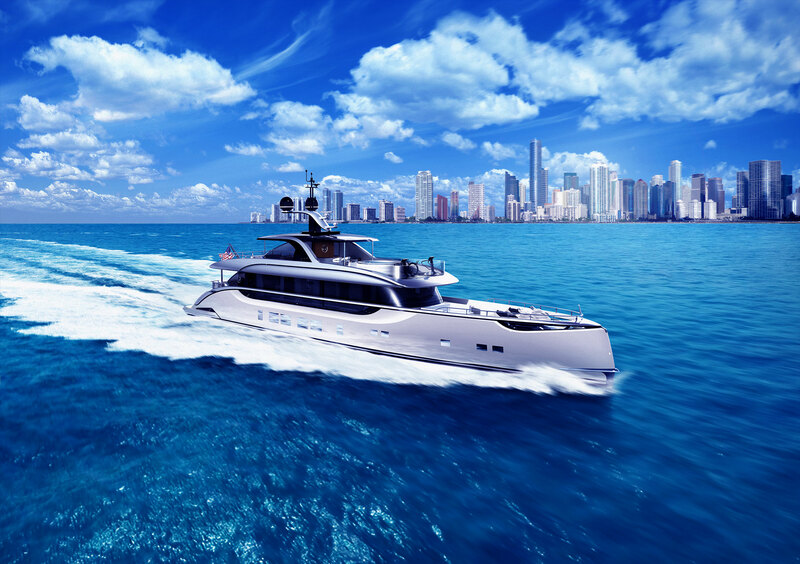 The NOW custom superyacht line is built with steel hulls and aluminum superstructures. The fast displacement design additions to the NOW group are built to the same standards with the same quantity of interior volume but offer a 30% speed increase according to the press release from Benetti. The new hull designs also draft significantly less than their full displacement counterparts. As is the standard with the NOW line of superyachts the fast displacement designs can be completely customized when it comes to the interior layout, decor and power packages. The three new designs incorporate sporty lines and the models range from the BF164 (50m), to the BF184 (56m) and the flagship BF224 (68m). Benetti’s custom FAST superyachts will be built at the Livorno shipyard on a fast track delivery schedule made possible by the yard’s advanced production and engineering capabilities.